By Joe Gorman | August 11, 2018 at 12:08a.m. Kimani Hodges did not go gently into that good night. 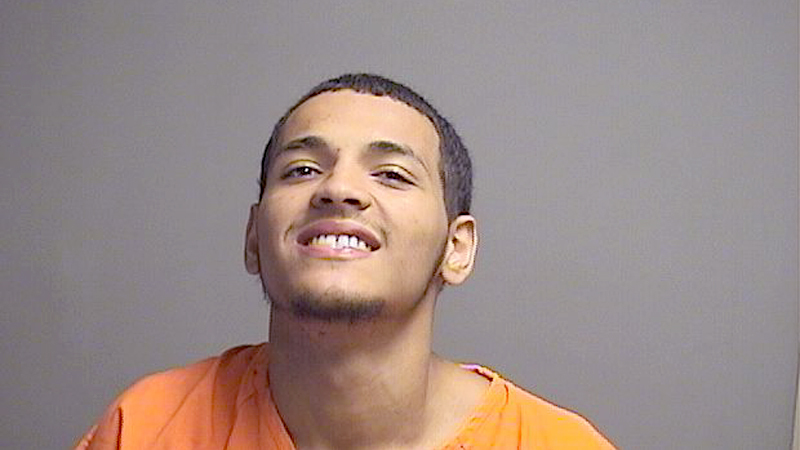 He was sentenced Friday in Mahoning County Common Pleas Court to life imprisonment without parole after being convicted in June of aggravated murder for the Feb. 17, 2016, shooting death of Jason Fonseca, 20, in front of Fonseca’s Ayers Street home. Hodges told the court he wanted to file several motions and ask for a new trial because witnesses lied and his counsel was ineffective. He prolonged the sentencing hearing by Visiting Judge H.R. Inderlied Jr. by asking how and where he could file handwritten motions appealing his conviction and asking for a new trial. When he spoke just before his sentence, he mentioned Fonseca only twice, saying that convicting him of Fonseca’s death is not justice. He never apologized or told Fonseca’s mother, who was in the courtroom, that he was sorry for her son’s death. He said he should have represented himself. “I should have been more self-reliant,” Hodges said. Christina Olivera, Fonseca’s mother, said her son’s loss impacts several people in the community because he was a mentor to others and he also helped to raise her other children. “I’m not the only one who lost somebody,” Olivera said. At times looking directly at Hodges while speaking to him, Olivera said she even saved some of her son’s blood when he was killed and drank it for nine months because she wanted to have him inside her just like when she carried him as a baby. She lashed out at Hodges for apologizing to his own family but not to hers. She said her son’s stature has only grown since he died. “You made my son a legend. You can’t kill legends,” Olivera said. Olivera pleaded with the judge for the maximum sentence to save other mothers from having to go through what she has had to endure. “Your Honor, you have to save other peoples’ sons now,” Olivera said. Judge Inderlied did not explain why he decided on the maximum sentence. He did tell Hodges he would make sure a lawyer is appointed for his appeal and explained how his motions could be handled by judges if they are not filed within the proper time frame. Hodges was concerned his handwritten motions would not be able to be filed promptly. January 5, 2017 12:08 a.m.
January 6, 2017 12:02 a.m.
August 10, 2018 9:55 a.m.
February 27, 2016 12:08 a.m.